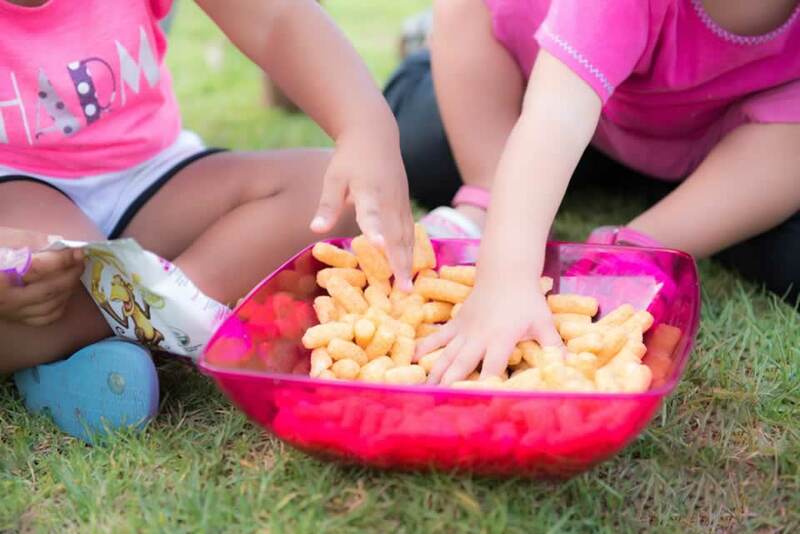 "The early introduction of peanuts significantly decreased the frequency of the development of peanut allergy among children at high risk for this allergy"
If you could prevent peanut allergy by giving your child a shot, you would, right? How about with a snack instead? 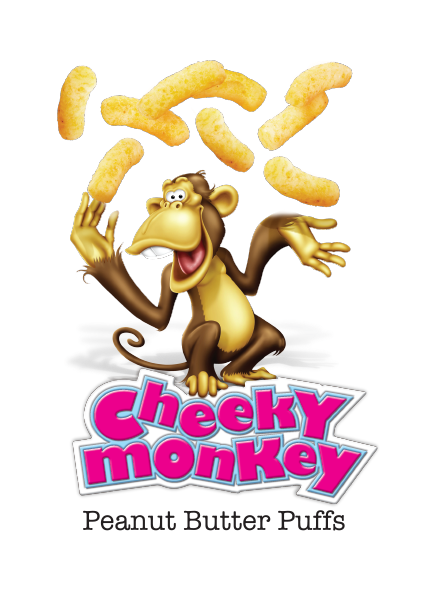 Cheeky Monkey Peanut Butter Puffs are the safest, most delicious way to give peanuts to babies from the ages of 4 – 6 months and up. 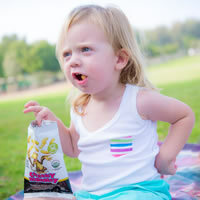 The puffs dissolve in the mouth, are clean, contain no added sugar, and taste great. Babies love them! "For a study to show a benefit of this magnitude in the prevention of peanut allergy is without precent. The results have the potential to transform how we approach food allergy prevention." Since 1990, doctors had been telling parents to withhold peanut food from infants as a way to reduce their risk of developing peanut allergy. By 2008, it appeared that this strategy was actually increasing the number of peanut-allergic kids. and sea salt. No weird chemicals, no glow-in the-dark colors! organic and non-GMO certified, gluten-free certified and kosher certified. A clean, nutritious and delicious snack for baby and the whole family. 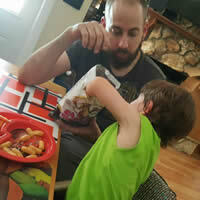 you can feel great about giving your child the healthiest snack around. And it's great for you, too! Those of us who provide care for children, have an unprecedented opportunity to improve their lives. Has Your Pediatrician Told You About Peanut Allergy Prevention? Old habits die hard, as the saying goes, but doctors know now peanut allergy can be prevented. We use organic, sustainable palm oil only. No orangutans were hurt in the making of Cheeky Monkey! Our answers to your questions on why and how to give you give your baby Cheeky Monkey. Am I Eating a Kiddie Snack? 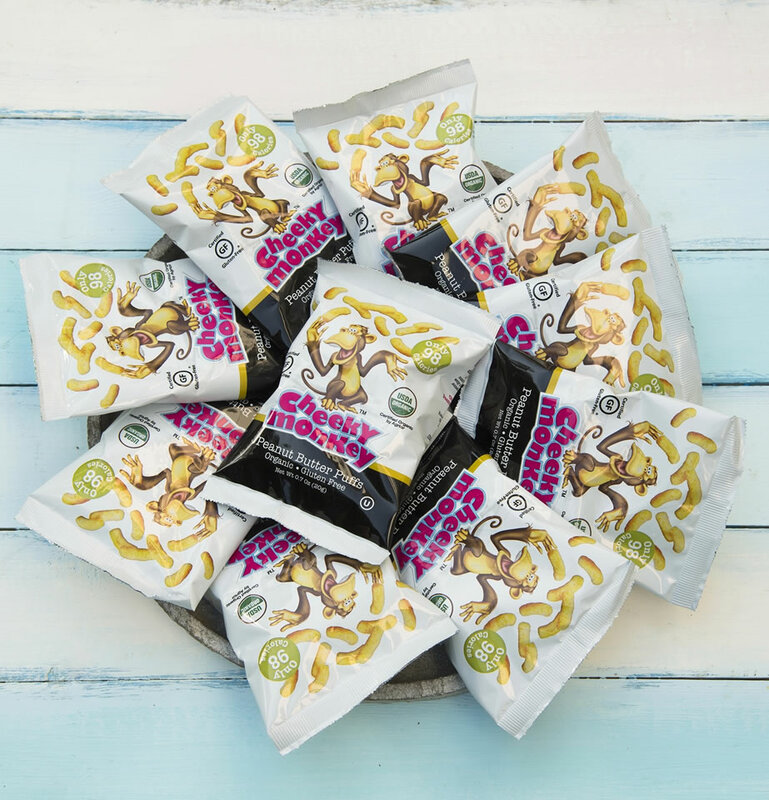 Cheeky Monkey is a great after workout snack! Thank you so much for Cheeky Monkeys! 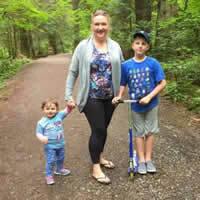 My family LOVES them, including our 1 1/2 year old amazing Son. If I open a bag, he's right there waiting for his share. I've given him 2 puffs & said "take these to Daddy on the couch" and right as he got to the couch he popped BOTH in his own mouth and then came back for 2 more of which he kindly shared ONE with his Daddy. LOL! They came in today! He loves them!! The majority of non organic children's snacks have GMOs, food colours and other chemicals, that is why I was so happy to find your product. We buy your product weekly in London Drugs (Coquitlam BC) and absolutely LOVE it. 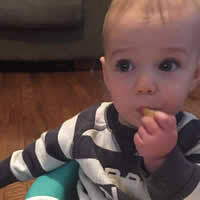 My 9 month old baby loves the melt in your mouth texture and I feel good for introducing organic peanut snack in her diet to prevent future allergy to peanuts. I always recommend Cheeky Monkey to my mommy friends. We are organic certified according to European standards. 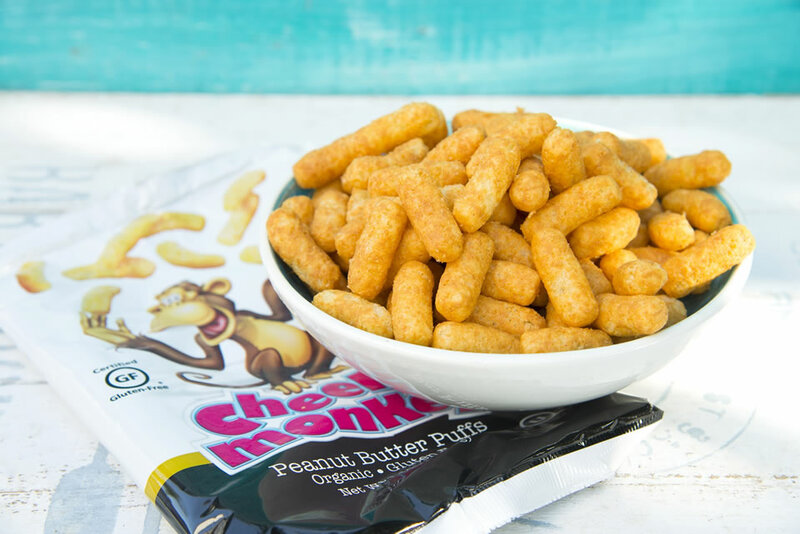 Cheeky Monkey Peanut Butter Puffs is the world's healthiest, most nutritious, cleanest snack around. Organic certified and non-GMO, gluten free, with no added sugar, full of protein and absolutely delicious. We love it and so will you and your family.